Shrimp. My favorite food. And this is one of the best and easiest way to prepare them. (Serves 2). 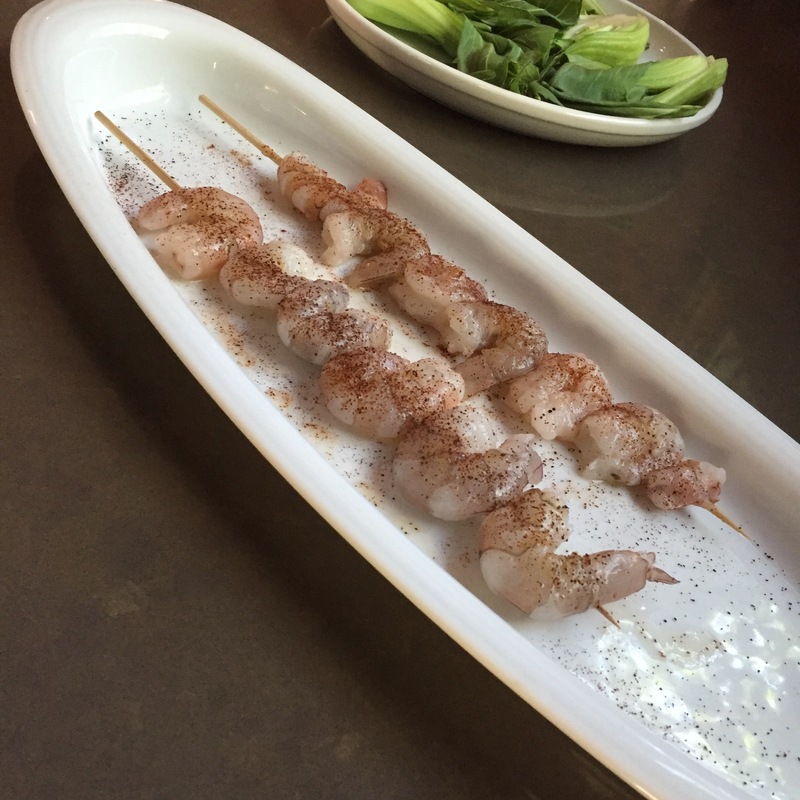 Marinate shrimp in lime juice and cover in chili powder and salt allow to sit for 15 minutes. No more. Shrimp absorb the flavors quickly. Grill over medium heat on a pre-heated grill for 1 minute. They cook fast since the acid in the lime help to break down the meat. 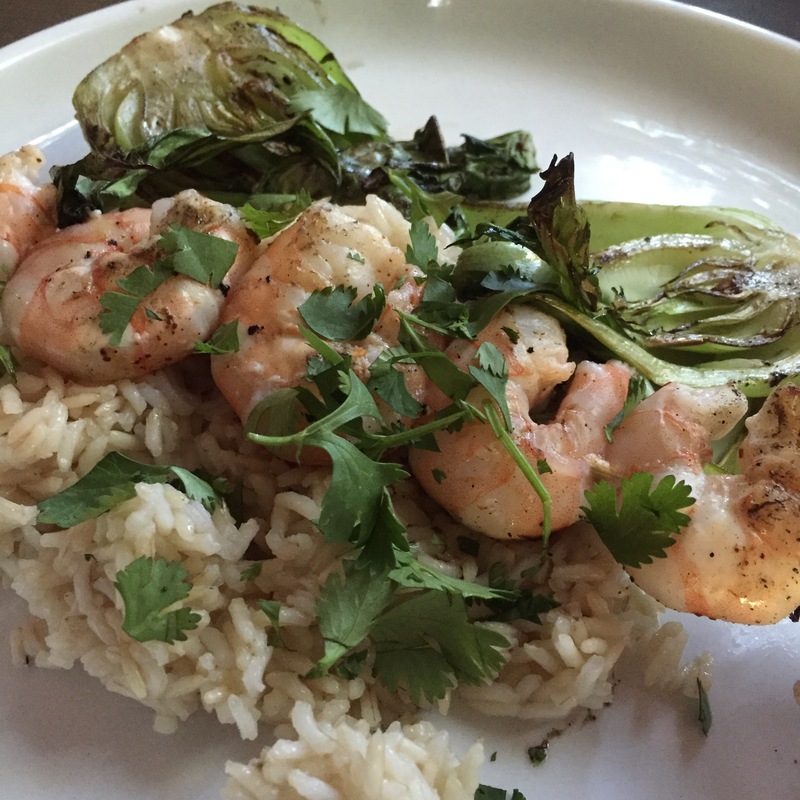 I served with grilled baby bok choy and coconut rice and season with fresh cilantro.